Illustrations: 217 color illustrations, 27 line illustrations, 2 maps, 12 tables. 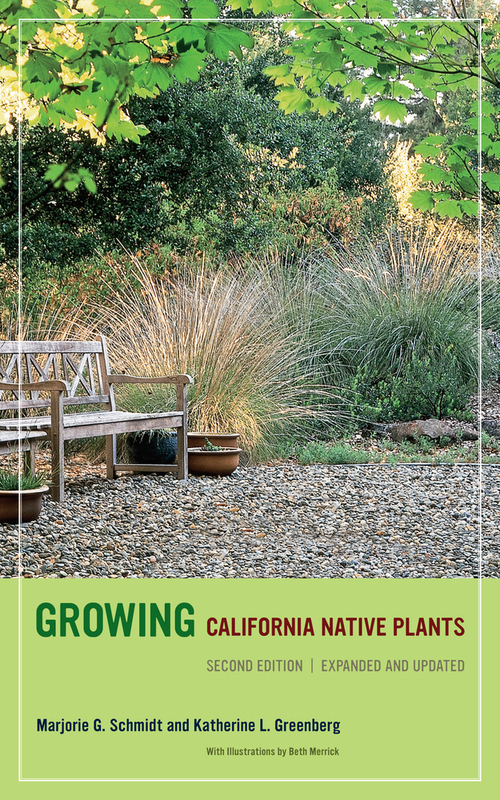 First published thirty years ago, the long-awaited second edition of Growing California Native Plants is the ideal hands-on native plant guide for both experienced and novice gardeners. In addition to the voluminous knowledge contributed by Marjorie G. Schmidt, now deceased, Katherine L. Greenberg has taken note of the vibrant state of today’s horticultural scene, adding plants and ideas that were little known when the book first appeared. Lavishly illustrated with 200 new color photographs, drawings, maps, and charts, this concise and easy-to-use reference covers trees, shrubs, perennials, annuals, bulbs, grasses, and vines, and includes a plant selection guide for quick reference. The authors, whose combined experience spans six decades, take California’s summer-dry climate and restricted water supplies into account and provide helpful notes on companion plants and gardening with wildlife. Practical and informative, Growing California Native Plants is a valuable reference for gardeners everywhere in California and an enjoyable book simply to explore.